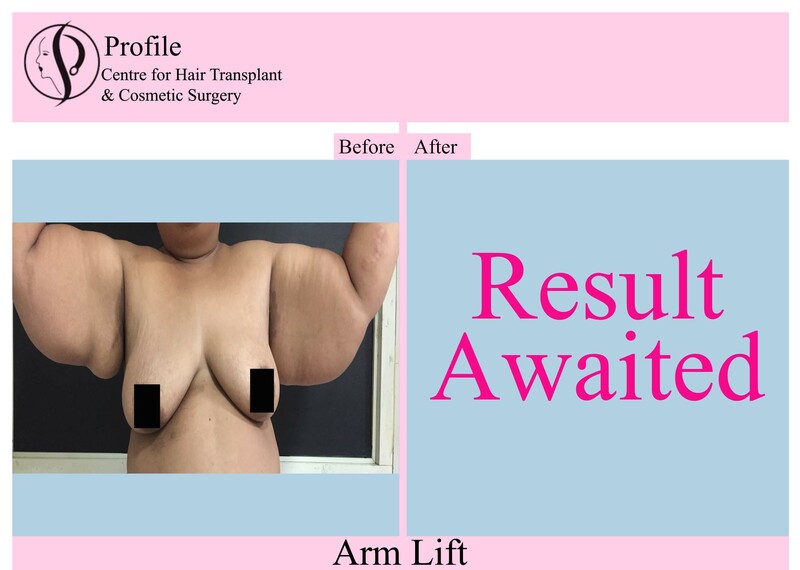 An Arm Lift or Brachioplasty, is a surgical procedure that is capable of removing excess fat from the arm that droops downward. After fat removal the skin appears rejuvenated and smooth. With increasing age the body tends to leave its tightness specially arm area where protruding fat appears. These conditions unfortunately cannot be corrected with exercise. Medications are given to comfort the patient during the procedure and feel no pain. 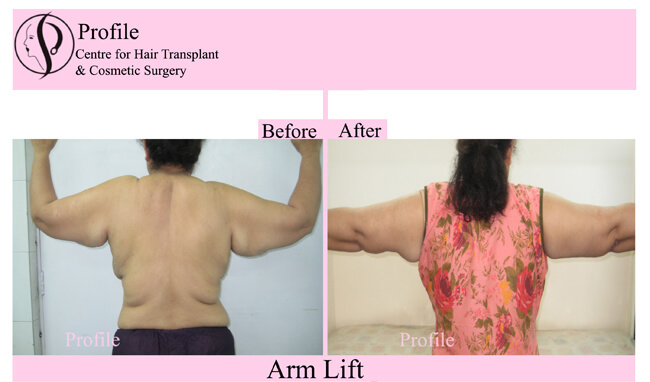 Incision length and pattern during arm lift surgery depends upon the amount of sagging skin and excess fat to be removed. The judgement is done by plastic surgeon. In most of the cases, the incisions are placed on the back of the arm and sometime from elbow to the underarm. After that, excess fat cells are removed. Depending on your specific case, after upon incision, placement is decided and the underlying supportive tissue is tightened and reshaped with internal sutures, leaving a smooth well toned arm. The incisions will be closed after the procedure with absorbable sutures, or stitches that will be removed 12 days after the procedure. After the procedure your arm will be wrapped with supporting bandages or dressing to minimize the swelling. A small tube might be left in the skin to drain out excess fluid. The plastic surgeon will give you the exact details about how to take good care of the treated area and will prescribe the medications to ease pain, swelling and bruising. So what are you waiting for, book your appointment today with us and attain that young well toned body once again.